Item #47287 : Original era manufacture. Bronze badge with a very pleasing patina finish overall with an alloy attaching pin. There is a thin crack in the metal surface of the wreath, just above the eagle's right wing. 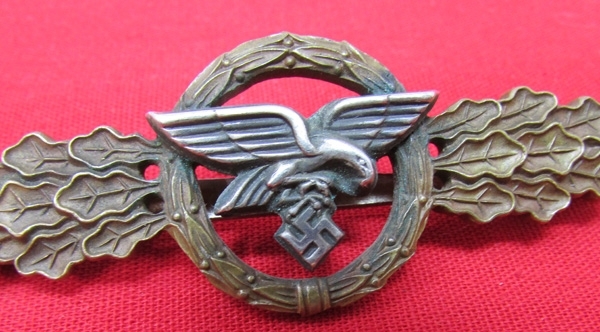 Early war quality badge.